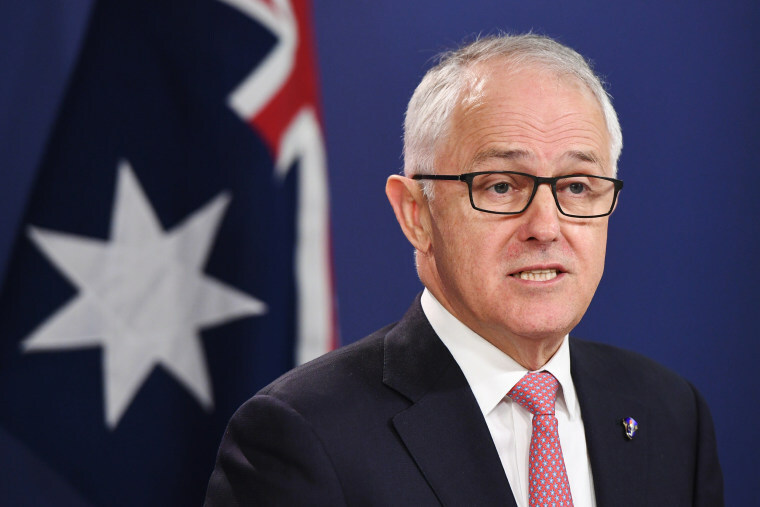 SYDNEY — Australian Prime Minister Malcolm Turnbull said on Wednesday the first group of about 50 men and women held in two controversial detention centers for asylum-seekers on remote Pacific islands will be resettled in the United States within weeks. The comments mark the first official timetable for when the United States will begin resettling up to 1,250 people held in Australian-run centers on Nauru and Papua New Guinea's Manus island as part of a refugee swap deal struck by former U.S. President Barack Obama late last year. In return, Australia will begin resettling several dozen Central American refugees within weeks under the deal that President Donald Trump has described as "dumb" but has nevertheless said Washington will honor. "There will be about 25 from both Manus and Nauru will be going to the United States and I just want to thank again President Trump for continuing with that arrangement," Turnbull said in a video statement. Three sources familiar with the process said about 25 men from countries such as Bangladesh, Sudan, and Rohingya Muslims from Myanmar held on Manus island were the first to be told on Wednesday, with a similar number on Nauru to be told Thursday. One Sudanese refugee approved for resettlement told Reuters he would leave Manus Island in a few days. "It feels like my dreams are coming true. All we want is to go to a safe country," said the refugee, who declined to be identified for fear of jeopardizing the resettlement. While Trump has said he would honor the swap agreement, concerns remain about how many asylum-seekers will be resettled from the Australian-run centres. Nearly 2,000 men, women and children are held on Manus island and Nauru, the majority of whom have been awarded refugee status by the two tiny Pacific countries. Refugees and advocates cautioned against assuming the U.S. would take the full allotment, with its processing so far concentrated on individuals with applications that are both easier to verify through background checks and originate from citizens of nations with closer ties to the United States. "Iranians are about a third of the refugees on Manus but are only about 10 percent of the ones interviewed so far," said Ian Rintol, spokesman for the Refugee Action Coalition. "It seems there had been some discriminatory selection." U.S.-Iran relations have been strained under Trump, who called Tehran a "rogue nation" on Tuesday. As the two have no diplomatic ties, validating refugee claims is prohibitive. Representatives of Australia's immigration minister, Peter Dutton, refused to comment. Despite their refugee status, many of those on Nauru and Manus island have been held for four years in conditions widely criticized by the United Nations and human rights groups. Australia is under increased pressure to resettle asylum-seekers from Manus Island because that center is due to close on Oct. 31. Australia would need to make alternative arrangements should the bulk of the 800 men still be there by that deadline. Under Canberra's hardline immigration policy, asylum-seekers intercepted at sea trying to reach Australia are sent for processing at the Manus island and Nauru camps. They are told they will never be settled in Australia.